PARTYNEXTDOOR surprised us all over the weekend with an unexpected release of a project called PARTYNEXTDOOR 3. 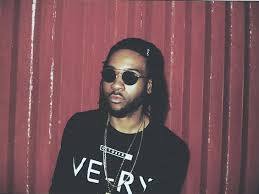 PND3 is a follow up to his two mixtapes PND and PND2. Party kept his signature sound but it still sounds like he’s going a slightly different direction with this one. I’m a hug fan, but these definitely sound like a compilation of throw away tracks? You can stream it in full above.